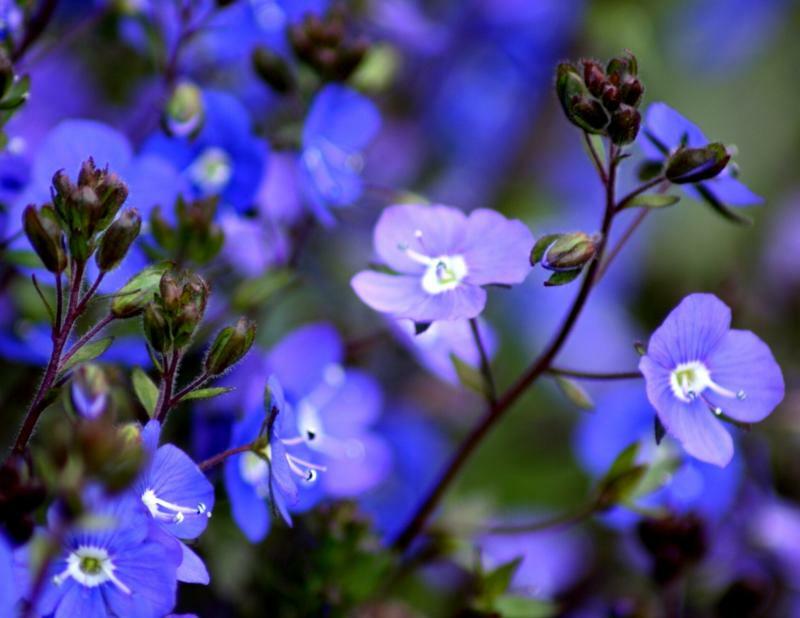 Veronica umbrosa 'Georgia Blue' is a beautiful, vigorous ground cover perennial which forms a mat of rooting stems. 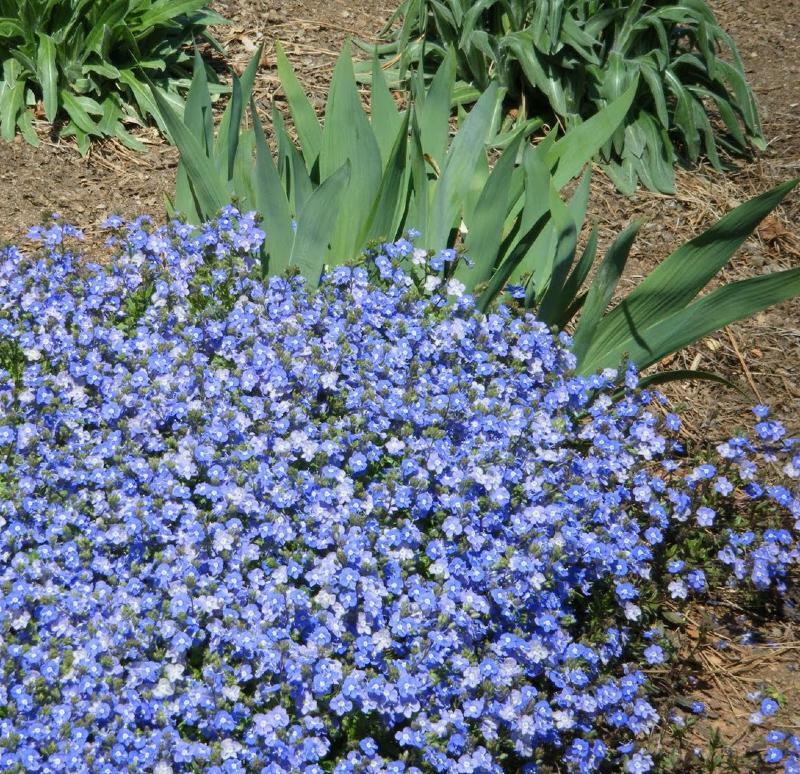 Produces a profusion of sky- blue flowers in spring and periodically all season. Evergreen. Recently re-identified as belonging to the species umbrosa, previously peduncularis. Prefers full sun in a well drained soil. Hardy in a sheltered spot. 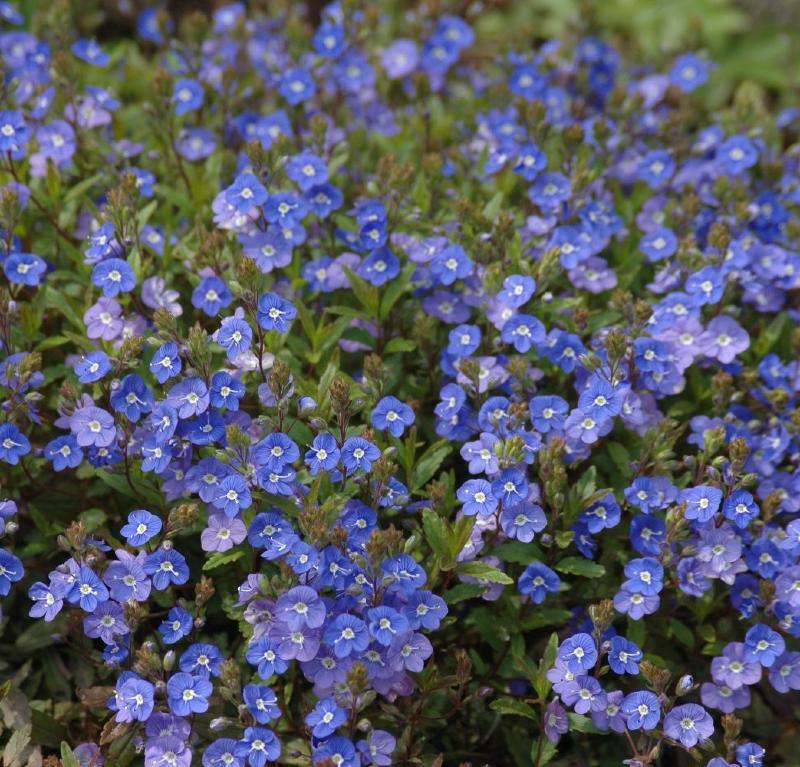 Height 0.10 m, spread 1 m. Supplied in a 9cm pot.